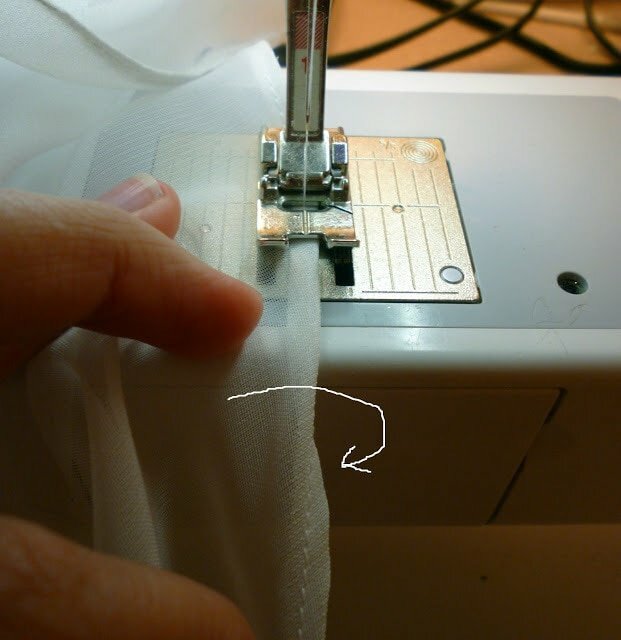 Being able to sew a rolled hem without a rolled hem foot is a great basic sewing skill to know. 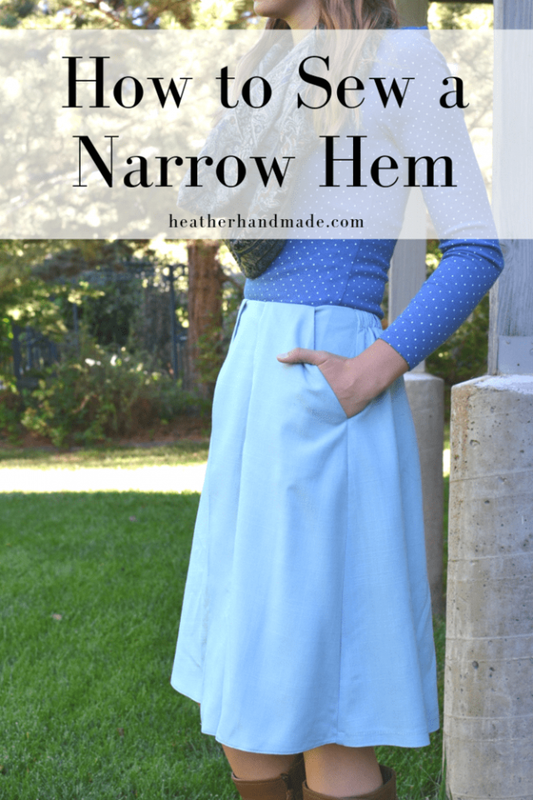 In this post I will teach you two different ways to sew a rolled hem. 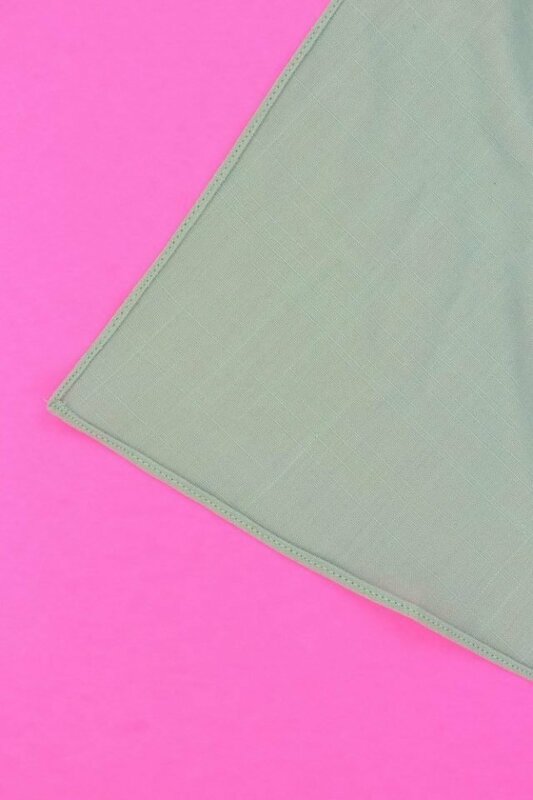 A rolled hem is also called a narrow hem, takes precision to sew, and it’s perfect for lightweight fabrics. 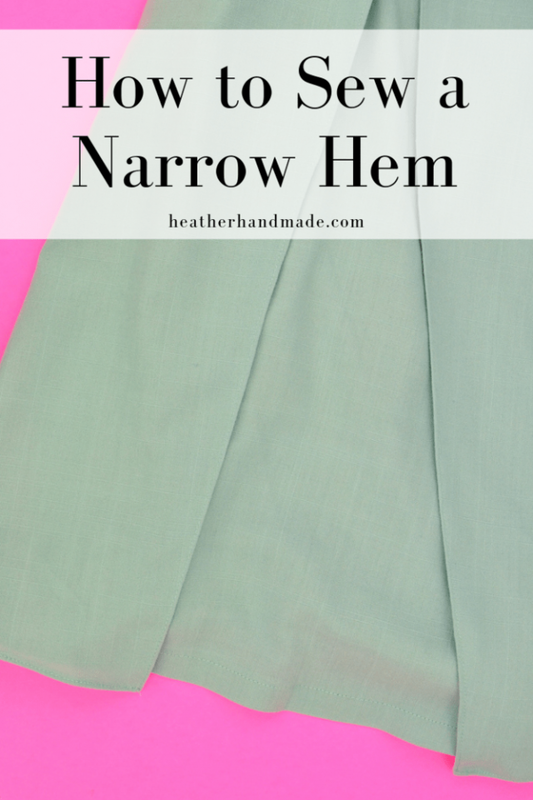 A narrow hem or a rolled hem is a really tiny hem perfect for lightweight fabrics. 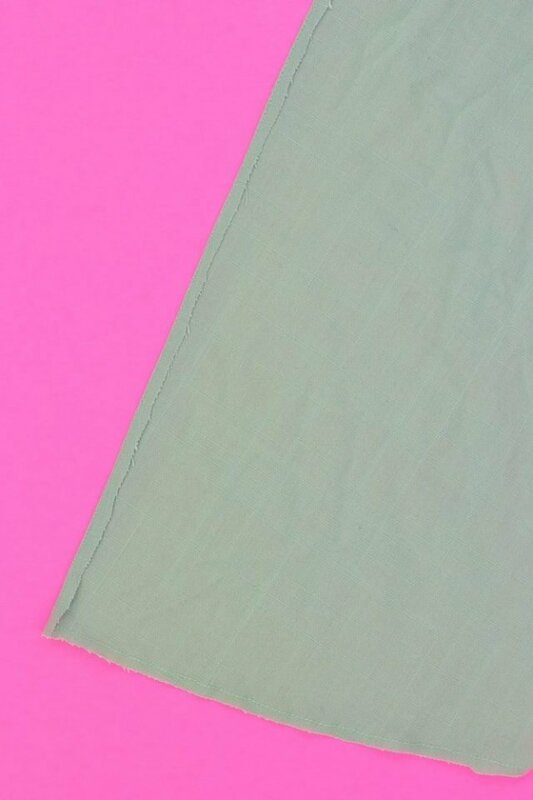 Rolled hems look professional and would be impossible to hem like regular double fold hems. I sew rolled hems two different ways, and they each have their time to be used. I will say that it is not the fastest technique, but it looks really good. 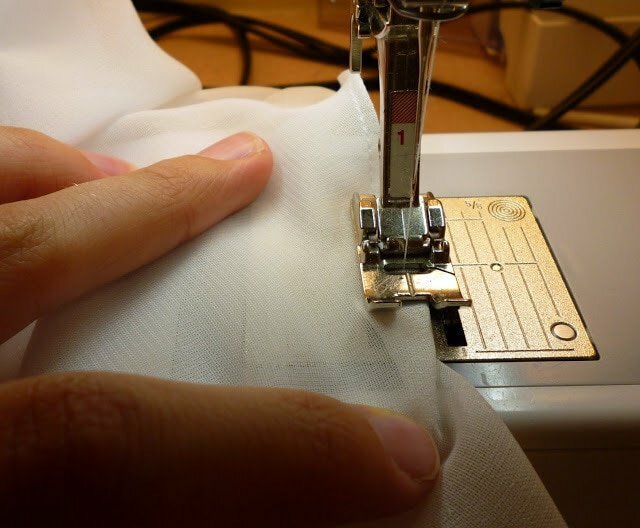 It’s used by professionals, but it’s easy enough for anyone to sew. You can buy a special foot to sew rolled hems, but I find them difficult to use. They take a long time to learn and getting used to, and I found even after I learned that I would still have to unpick a part of every hem I did. 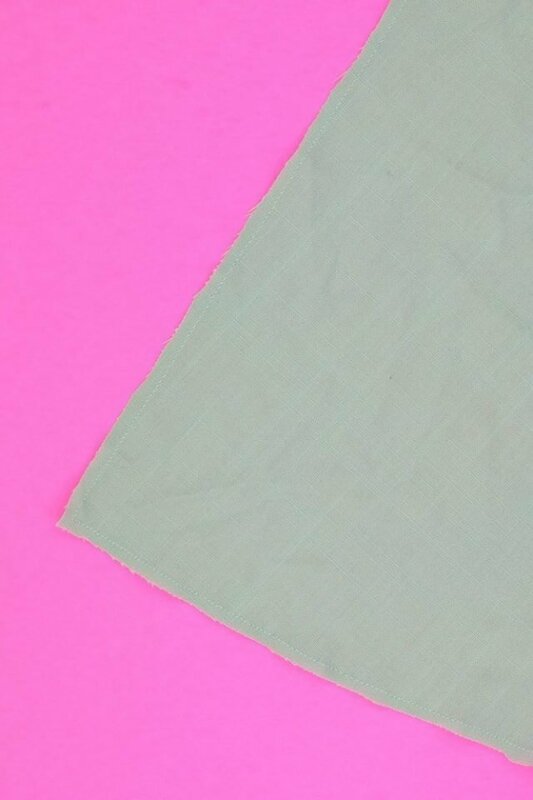 You will see a rolled hem on any lightweight material, sheer or not. It’s perfect for high low hems since it looks good on the outside and on the inside. It’s also used a lot on formal dresses. 1. 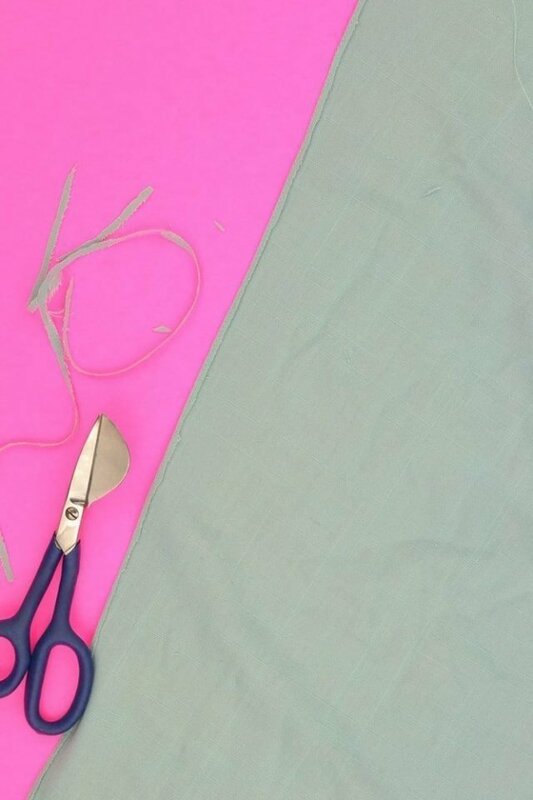 Sew a straight line along the bottom edge. Sew 1/4 inch to 1/2 inch from the edge or at the hem line given in the pattern. 2. Iron the hem allowance up towards the inside of the garment on the stitched line. 3. Trim the fold down to 1/8 inch with scissors. Be careful not to cut into the garment. I like to use duckbill scissors* for this step because it helps prevent cutting holes in the wrong place. Don’t worry about the cut line being perfectly straight. 4. Fold the hem up one more time and iron it. 5. Stitch in between the two folds to enclose the raw edges. 6. 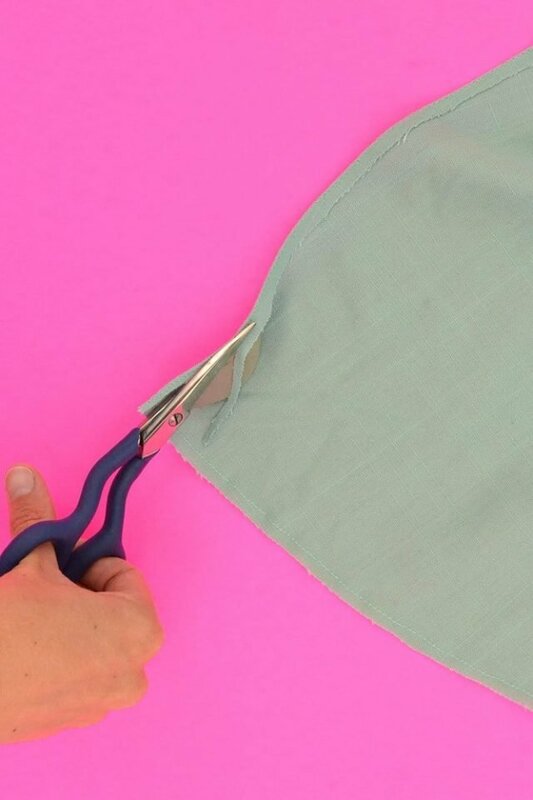 If you have a corner then do each rolled hem separately: one first and then the other. I use this method whenever I’m altering a finished garment. I most often use it when hemming a garment for a client like this wedding dress where I added a front godet. 1. Put your dress or skirt on and mark where you want your hem to be. DO NOT CUT IT. Mark with your favorite marking tool. 2. 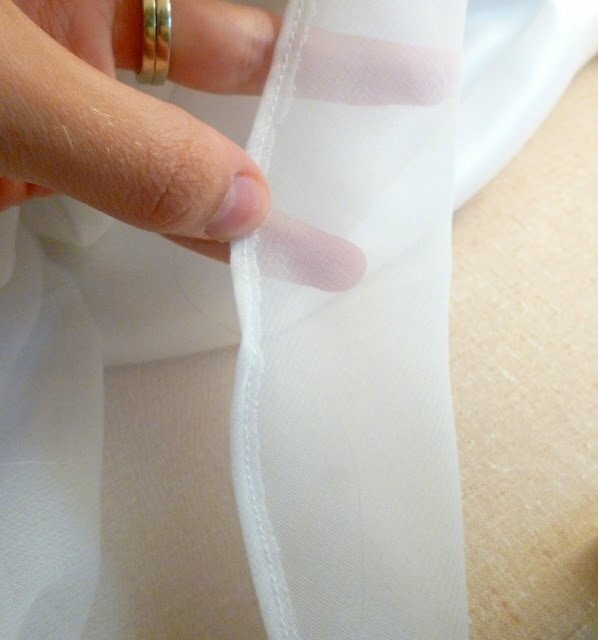 Fold the marked line with the hem allowance towards the back. Sew 1/8 inch from the fold in matching thread through both layers of fabric. You will have a some excess on one side of the hem. This is what it looks like looking at the inside of the dress. 3. 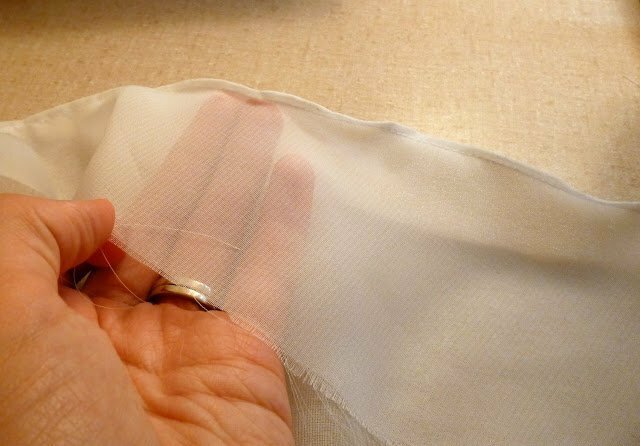 Trim the excess fabric off as close to the stitching as possible. Be very careful not to cut into the other side! Don’t worry if the trimming is uneven because it won’t be seen. 4. Roll the fabric towards the inside of the garment and enclose the raw edge. Sew 1/8 inch from the fold. Overlap the stitches so that stitches lock. 5. 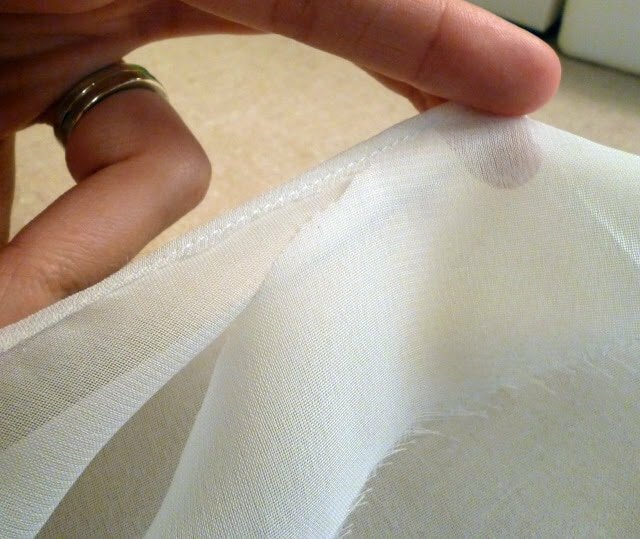 Press your beautiful rolled hem. I used a rolled hem on my pleated Harper skirt to have an overlay that looked nice when it moved. If you make something using this tutorial, I’d love to see! Please share it on social media with the hashtag #heatherhandmade and tag me! Your technique was really helpful. Thank you so much. 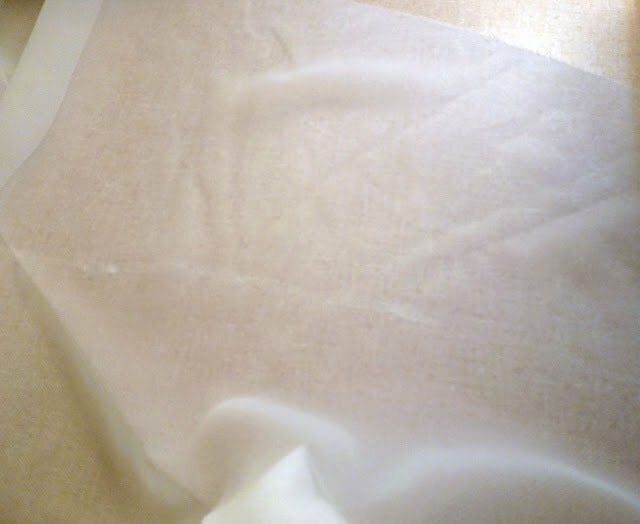 Heather, does this method do nicely on satin as well? Thank you. Yes! I've used it on all types of woven fabrics with great results! So you fold it, sew it, fold it again and sew it again? 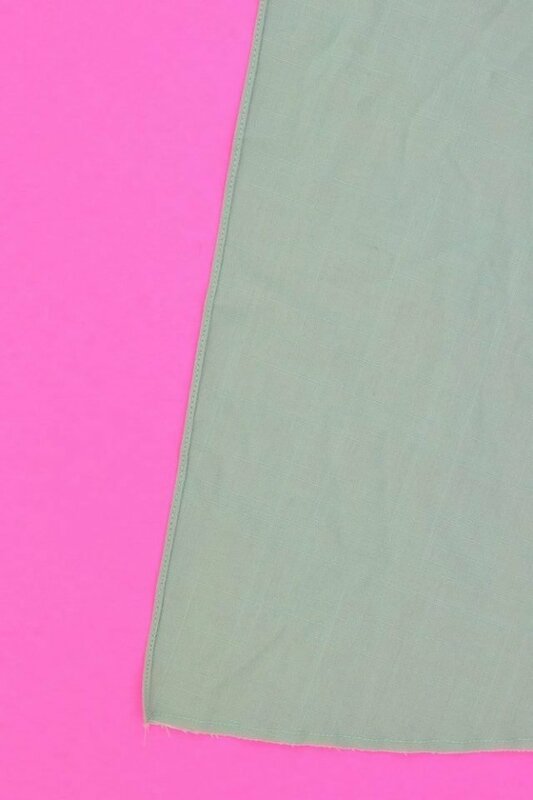 All folds to the inside of the garment? Yes this is right. Don't forget to trim the seam allowance after the first folding and sewing. Thank you, thank you, thank you! I can't purchase my special foot yet, but I want to get started so this is just what I needed. Thanks again! You are a life saver! I made a deal with my mom, if I hem her skirts that are to long she's iron my families laundry. I took her first skirt home with me and could not figure out how to get a nice rolled hem, I really hope I can figure this out, I did already cut it so I guess I'll just have to make it a little shorter? 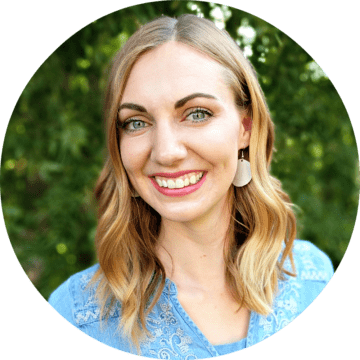 Just found you blog today, LOVE it! Mm hm. Sometimes I wonder why we have to make it so much harder for ourselves. I will definitely be using this trick – thanks!